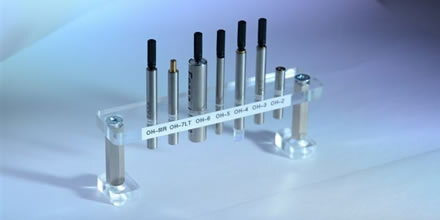 Feasa Optical Heads are special receptacles that improve the stability of intensity measurements. 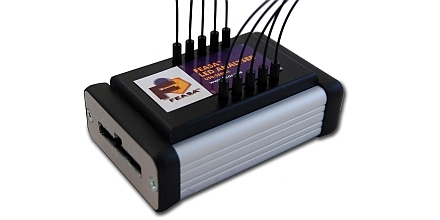 The Feasa LEGEND systems consists of two component parts, a Hub and a LED Analyser. 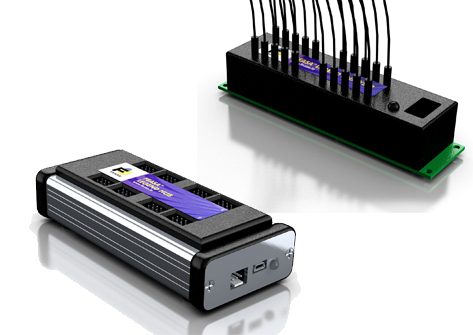 The Hub can be mounted in the Test Station or in the Test Fixture and can control up to 8 LED Analysers. 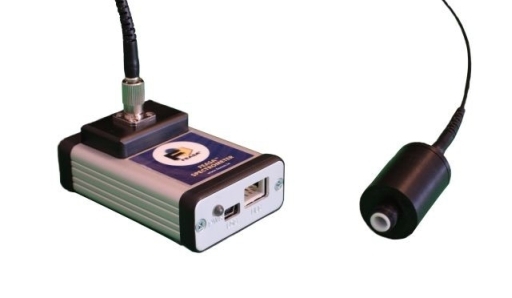 Each LED Analyser can test up to 20 LEDs and a fully populated Hub can test up to 160 LEDs. Hubs may be added together to test a larger number of LEDs.